Under Michigan law, one spouse may be entitled to receive alimony or spousal support after a divorce. This is true for both husbands and wives. Spousal support, or “alimony” as it is often called, is money paid from one spouse to another after a marriage has ended. The purpose of alimony is to make sure that the lower-earning spouse’s quality of life does not significantly diminish after a divorce. There are many factors that go into a determination of alimony, and you should be sure to have an experienced Michigan divorce lawyer to help you understand your legal rights. The Bloomfield Hills law firm of Paul J. Tafelski, P.C., has assisted clients throughout Michigan in spousal support cases. Call 248-918-4206 today or contact us online for legal advice in family law matters. Alimony takes one of two forms in Michigan: temporary alimony or permanent alimony. Temporary alimony is spousal support paid until the lower-earning spouse gets back on his or her feet. For example, in a case where a successful man or woman stepped back from his or her career to raise children, temporary alimony might be appropriate when the couple divorces. The lower-earner with good career potential could be paid alimony while brushing up his or her professional skills and getting back into the job market. Permanent alimony, on the other hand, is paid indefinitely. This is appropriate in situations in which the earning discrepancy will persist. For example, if one spouse spent his or her entire career out of the workforce, if one spouse is disabled, or if one spouse has significantly less education and ability, then permanent alimony may be awarded. In addition, the marriage must have lasted a long time in order for permanent alimony to be awarded in most cases. The court can order spousal support to be paid in a lump sum or in periodic payments that may be subject to modification. The method of payment will be important for tax reasons. Typically, spousal support is taxable for the party receiving it and deductible for the party paying it. If a party moves to another state, it might be necessary to register a spousal support order in that state in order to enforce the judgment. Duration of the marriage. This could be an important factor if one spouse gave up work during the marriage and lacks the ability to earn a decent income after the divorce. Contributions of each party. This would include both the assets and income that each party brought to the marital estate and the future earning potential of those assets. Age and health of the parties. If the spouse is at a stage in life where he or she lacks the ability to earn supporting income, this could be a critical factor. Life status of the parties. What will the relative status of the spouse be after the divorce with or without spousal support? How would paying support affect the payor’s lifestyle? Necessities and circumstances of the parties. The court’s focus is on the present ability to pay spousal support and the present and future need for receiving it. Earning abilities of the parties. A court will consider whether one spouse’s ability to earn a living has been impacted by the marriage, and it will not allow a spouse to intentionally suppress income in order to receive or escape financial support. Past relations and conduct of the parties. Michigan is a “no-fault” divorce state, but, in setting alimony, a court will look at whether one spouse cheated on the other or abused alcohol or drugs. General principles of equity. A court will look for a fair balance between the one spouse’s needs and the other spouse’s ability to pay. Once an alimony agreement is in place, both spouses are bound by that agreement and the support must continue to be paid unless or until the temporary alimony period ends or the other spouse remarries or dies. In some cases, however, a change of circumstances necessitates a change in alimony payments. When this occurs, the spouse seeking the change will need to petition the court and prove the need for the modification. A job loss, for example, may be an example of a situation that necessitates a change. Some agreements, however, are not modifiable. If this is true of your agreement, it will be very difficult to convince the court to alter the alimony rules regardless of the altered circumstances. Finally, in the event that you uncover fraud, duress or mistakes in the original alimony decision, you may be able to petition the court to set aside the initial judgment. This would mean asking the court to invalidate the prior decision on alimony based on the new information you present. 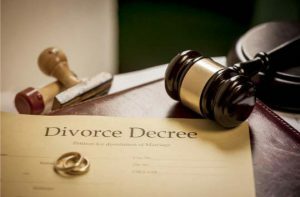 A Michigan divorce attorney at the Bloomfield Hills law firm of Paul J. Tafelski, P.C., can help you if you have issues regarding an alimony award in your divorce. Contact our divorce lawyers online today for a confidential initial consultation. You can also reach us at (248) 456-8243.